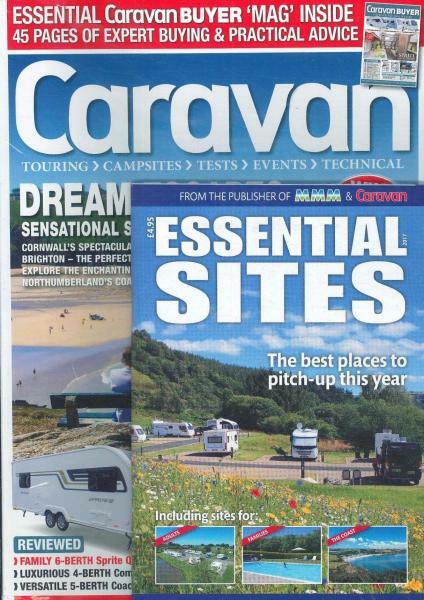 Caravan is a monthly UK publication dedicated to those who like to escape in their motorhomes or caravans. Providing you with all the practical advice and inspiration you need in order to get the most out of your touring caravan every month. Buy a single issue or subscription to Caravan magazine. Caravan is the ultimate guide and best source for people looking for encouragement; it is packed with expert reviews and buying advice, in-depth product tests, DIY tips, and much more. The magazine has been has been printed for over 80 years. Britain’s first caravanning magazine, written by caravanners for caravanners, offers hands-on advice and practical tips making it the perfect read for any caravan enthusiast. Caravan entertains, informs and gives readers the confidence to buy the best equipment, and to find great holidays. My brother loves it so I subscribe it for him as a birthday present.